We are going to tell a simple but exciting story, about a couple who buy a house in Spain. Our couple, Frank and Diane, have dreamed about this home for a long time. They have talked about it, planned it and saved for it. But they are worried. After their main home in the UK this will be the most expensive thing they ever buy and they intend to do it right. They have heard about people who had the same dream and it all went wrong, who ended up losing money or even having their homes demolished because they were declared unsafe or illegal. This is the story of how none of those things happen to our couple. But it could have done. We will follow Frank and Diane as they go through the processes of buying a home in Spain. Along the way we will learn the differences between the Spanish regions and environments, from the wet and wild coast of Galicia to the deserts of Almanzora. 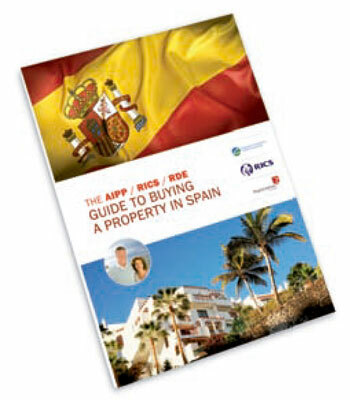 We will investigate the processes of Spanish property buying and show you how to buy safely. We are basing Frank and Diane’s experiences on the thousands of people that we at the AIPP, RICS and RDE have met and advised over the past ten years. Frank and Diane are not speci c people, but they have the same dreams and face the same challenges as the tens of thousands of real people who would like to buy abroad. We will follow them from their living room somewhere in the United Kingdom, to getting the keys and settling down in their villa on a Spanish seaside. Although Frank and Diane are British, they could just as easily be Lars and Lotte from Belgium, Max and Mia from Germany or Shirley and Sheila from Australia. The dangers are all the same when folks “leave their brains behind at the airport” and the rewards are the same when they do it right. We hope you will download this guide and keep it handy. Feel free to print it off and pack it in your suitcase. If you have a friend thinking of buying in Spain, please send it on to them. We know it is immensely rewarding to deeply savour another nation through immersion in their culture as facilitated by property ownership, and we hope that this guide helps you to make a wonderful – and safe – start on your journey. 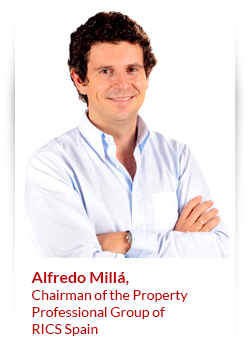 The Association of International Property Professionals (AIPP) is a not-for-profit organisation, set up in 2006, operating in the international property market and based in Westminster, London. The AIPP now has over 350 corporate members in 28 countries around the world including estate agents, developers, lawyers, banks, FX, media, technical, advisory & other international property professionals. Championing & delivering buyer education and protection through our free buying guides & seminars backed by the AIPP’s Code of Conduct, Arbitration and Dispute Resolution Services. All of our services are free to property buyers. 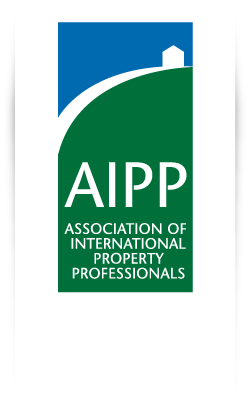 The AIPP presented the industry White Paper to UK Members of Parliament in the House of Commons in November 2014, with calls for an APPG (All Party Parliamentary Group) for the international property industry. The AIPP is also a Trustee of the International Property Ethics & Standards Coalition. 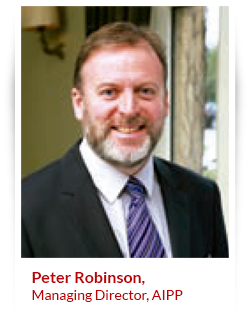 Guiding the international property industry to best practice. The AIPP, with its partners, is now bringing to the trade a significant new digital initiative to transform how developers, agents and buyers can transact a more secure property sale. The sale of property is usually an (officially) unregulated activity in foreign countries (it is in the UK too, although RICS Blue Book is aiming to improve standards here), yet touches upon significant financial, tax, estate planning and other ownership issues. If you are at all unsure about how to navigate the many issues this presents then please do contact an independent financial adviser. The AIPP is not regulated to give financial advice and, accordingly, we do not seek to do so here. You can find out more about the AIPP at www.aipp.org.uk, which includes a two-minute video on what we do, free, for buyers. Do take the opportunity to research and connect with our members in your country of choice. Unfortunately, we cannot assist members of the public with issues arising with non-AIPP members. Members are listed on our website with current members to be found on our homepage through the simple search facility. A couple of quick tips before you read-on: do ensure you use a truly independent lawyer to handle any purchase you make and you may also benefit from reading our free general buying guide How to Buy Overseas Property Safely and our Guide to UK Pension Changes & Buying a Foreign Property. You can download these free of charge from our homepage. The Royal Institution of Chartered Surveyors (RICS) promotes and enforces the highest professional qualifications and standards in the development and management of land, real estate, construction and infrastructure. Our name promises the consistent delivery of standards – bringing confidence to the markets we serve. We accredit 118,000 professionals, and any individual or firm registered with RICS is subject to our quality assurance. Their expertise covers valuation and residential/commercial property practice; property finance and investment; project management, planning and development; quantity surveying; facilities management. From environmental assessments to real estate transactions, if our members are involved, the same professional standards and ethics apply. We believe that standards underpin effective markets. With up to 70% of the world’s wealth bound up in land and real estate, our sector is vital to economic development, helping to support stable, sustainable investment and growth around the globe. With offices covering the major political and financial centres in the world, we are ideally placed to influence policy and embed professional standards. We work at a cross-governmental level, delivering international standards that will support a safe and vibrant marketplace in land, real estate, construction and infrastructure, for the benefit of all. We are proud of our reputation and sustain it, so clients who work with a RICS professional can have confidence in the quality and ethics of the services provided. 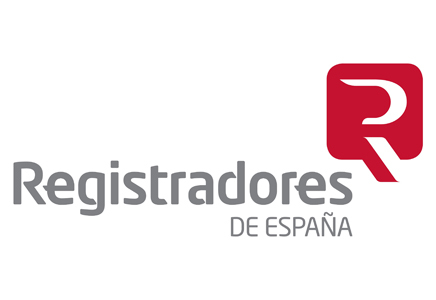 The Spanish Registrars Association.The Colegio Nacional de Registradores de España, usually shortened to Registradores de España, is the Spanish Registrars Association. We are a public and legal body, bringing together all the Land and Companies Registrars in Spain. These registrars are public officers and legal professionals responsible for monitoring the legality of documents authorised by notaries, issued by judges and administrative authorities or signed by individuals, to ensure that only completely valid documents can be registered. 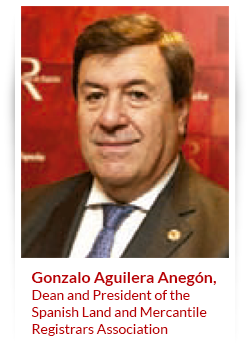 To be a registrar, it is necessary to be Spanish, with a degree or doctorate in law, and to pass a competitive examination on the current law. The essential purpose of the Land Registry, and therefore the basic function of registrars, is to ensure safety in legal relations concerning property rights. By the publication of property rights through registration, after debugging defects allegedly vitiating the deed, if needed, overall enforceability is achieved, making these rights reach undisputed category. Once registered, no one can claim to ignore the existence of the property right, its content or the identity of the person to whom it belongs. The Association was founded in 1886 and became an official professional association in May 1934. Our aims, apart from checking membership and enforcing internal rules, are to coordinate the professional activities of registrars, ensuring professional ethics and the proper exercise of their functions, to collaborate with advisory bodies and public administrations on matters within the competence of the registrar, and to promote the modernisation of the registries. To promote best practices in registration matters, with special attention to consumers, the Association also works internationally. That is why we are pleased to help in writing this guide. You can visit our site on www.registradores.org.